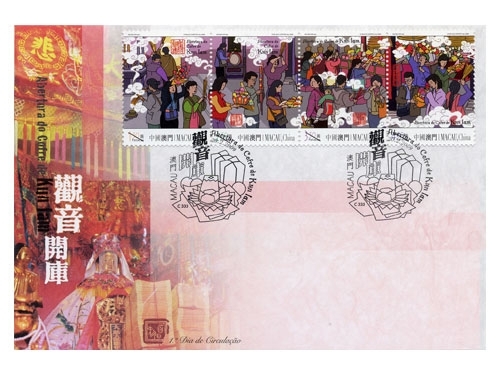 The opening of Kun Iam Treasury falls on the 26th of the first month of Chinese lunar calendar. 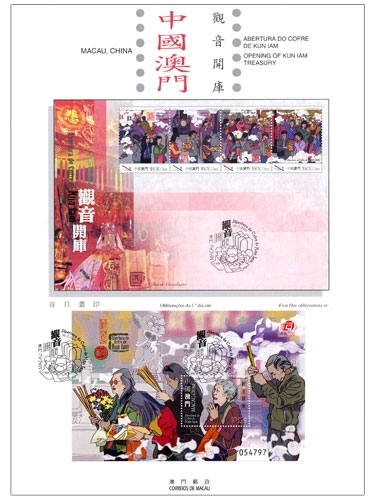 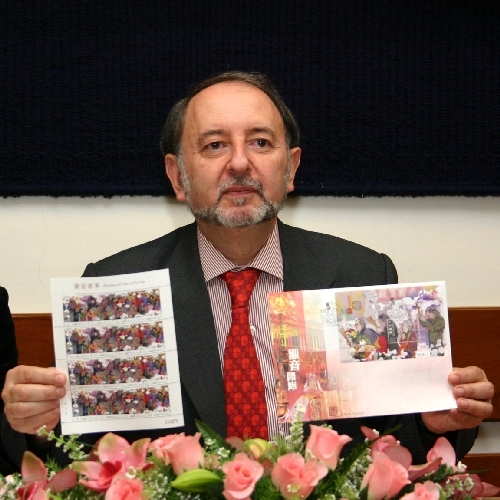 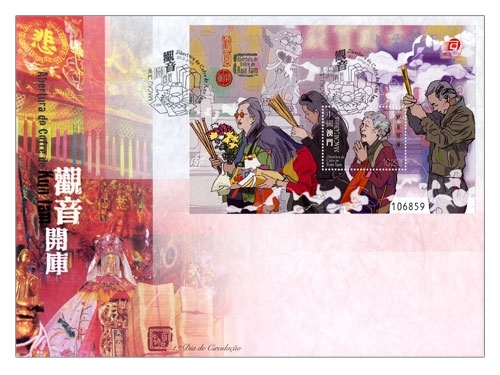 Macao Post will issue the stamp “Opening of Kun Iam Treasury” at the same day of Gregorian calendar on 20th February, 2009. 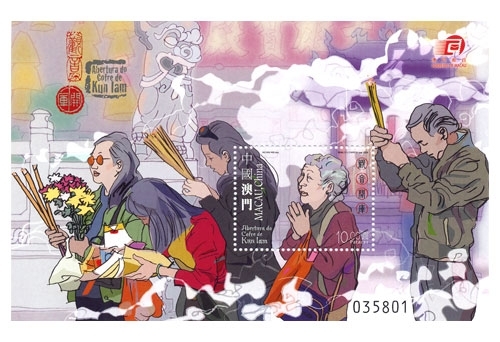 The stamp designer for this issue is Mr. Ng Wai Kin, and the text for the information brochure is written by Mr. Lao Wah. 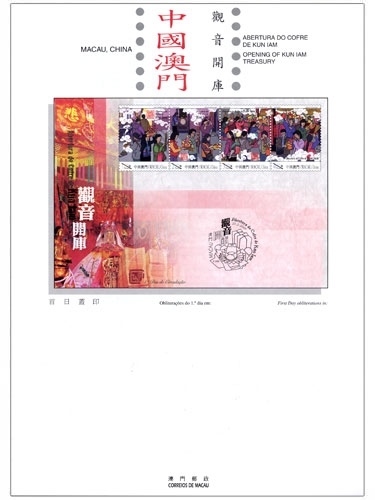 This is the third issue in 2009. 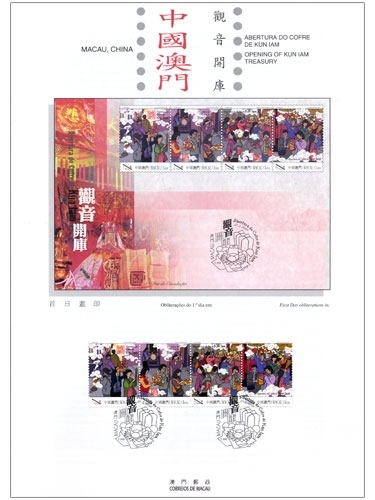 The issued stamps are as “Bicentenary of the Birth of Louis Braille” on 04/01/2009 and “Lunar Year of the Ox” on 08/01/2009. 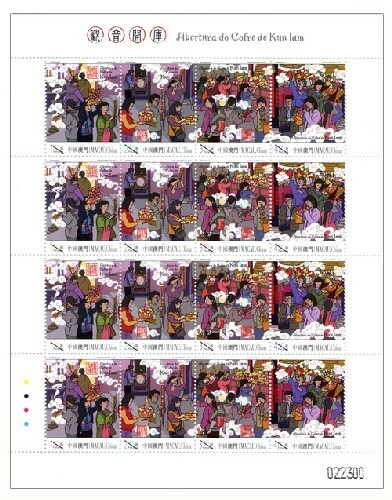 Technical Data of Stamp "Opening of Kun Iam Treasury"